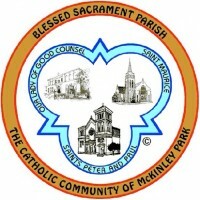 Blessed Sacrament Parish presents Mass at 6:30 a.m. every Monday through Friday at Ss. Peter and Paul Church, 3745 S. Paulina Ave., Chicago. Communion is offered at these Mass services.